House Minority Leader Nancy Pelosi is fundraising off the firing of “our only hope” Special Counsel Robert Mueller, but one problem: Mueller has not been fired. The California Democrat sent out an email last week titled “Mueller FIRED” and asked people to donate to the Democratic Congressional Campaign Committee (DCCC) amid speculations that President Donald Trump may fire Mueller in retaliation for the FBI raid on his lawyer Michael Cohen. But as the actual fundraiser email text acknowledges, Mueller was not fired by Trump. They WISH he would fire Mueller. Although the special envoys have already confirmed a willingness to denuclearize, it will make a difference if the two heads of state will meet and more clearly confirm it and make it a formal statement,” Mr. Im told reporters on Tuesday. Yes, I believe you added the "awesome" part with your edit while I was crafting my reply. Ah. I anticipated the reply of The Gut to my post which was in response to another poster. You think I am a disingenuous psychic? I think the exchanges speak for themselves. And with that I'm back on topic and bid you a good night. That almost sounds like a positive statement! Wow. The outrage that can cause...Womens Marches, Not-My-President-Marches, Riots in the streets. But truth be told, if NK really was a CIA outpost, so much harm has been caused to the Korean people. May they find freedom, peace and prosperity at last. You know what's weird, it's if I'm meddling against my own consciousness and the words " Alice" ringing through my head. I have to wake up one day. When does the loophole stop? 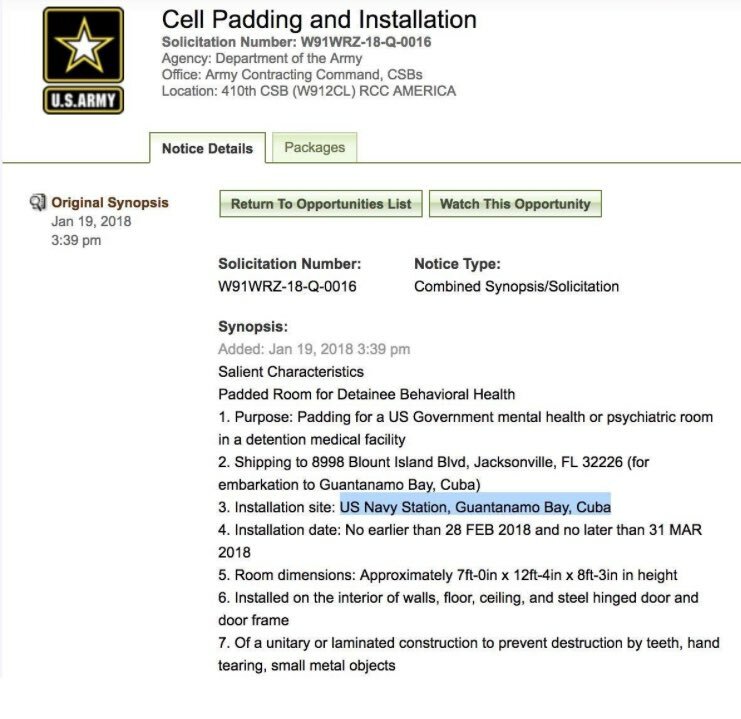 New padded cells in Gitmo. By the way, Olivia Rothschild is Paris Hilton's sister and is married to James Rothschild of Rothschild family fame. It would reunite so many families ripped apart for so long..